224th underwent an intensive training program, including night training in the New Mexico desert. medals for "faithful performance of their duty, efficiency and conduct worthy of emulation." On November 24th, the battalion had a final inspection and parade, as the unit passed in review before Lt. Col. Myrah, Commander of the 103rd AAA Group. Neptune ceremony was held, celebrating the crossing of the equator. entertained with swimming, outdoor movie theaters and baseball and basketball leagues established on the island. 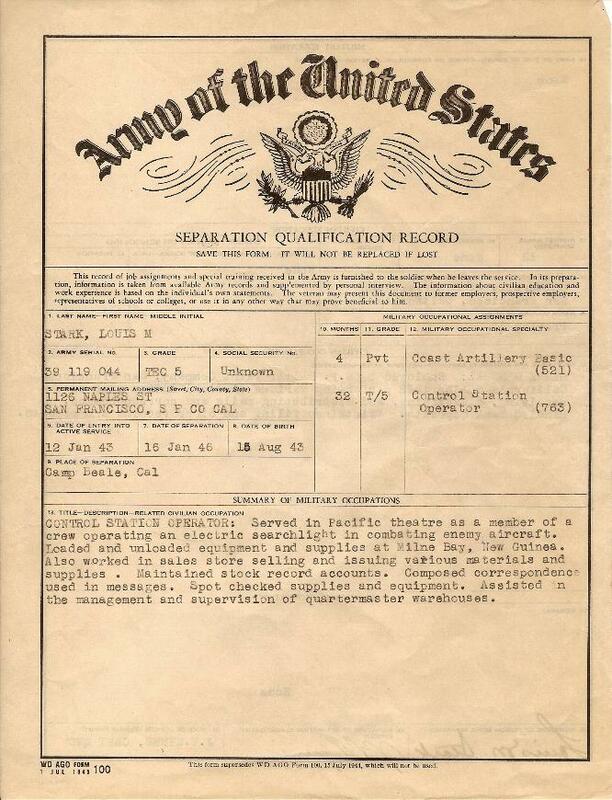 On July 24th, 1944, Lt. Col. Carlton J.
to Executive Office and later to the rank of Major. where units were prepared for future combat operations. The 224th began training for the invasion of Japan. the New Guinea Campaign. 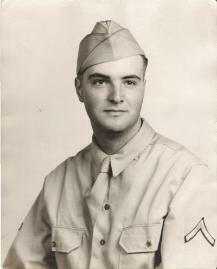 The men of the 224th served with devotion and dedication and undoubtedly contributed to the war effort in many ways. 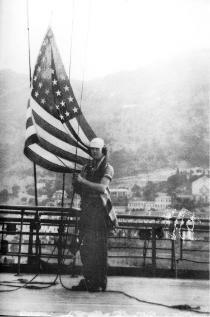 flag aboard the USS Mount Vernon. 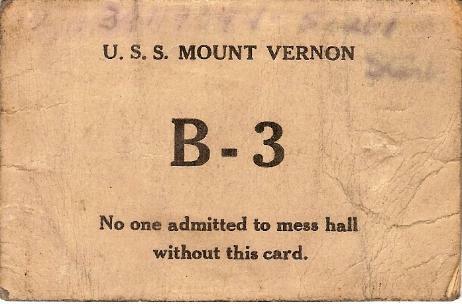 Above: The front and back of Stark's mess hall pass while aboard the USS Mount Vernon. 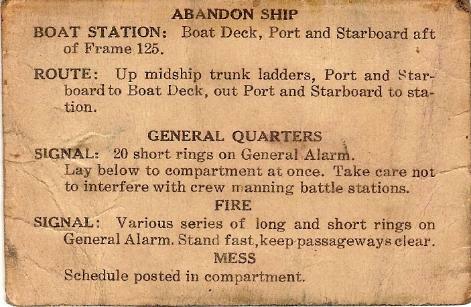 during those days when mention of war was an idle topic of conversation. factions, by the United States flag. over. 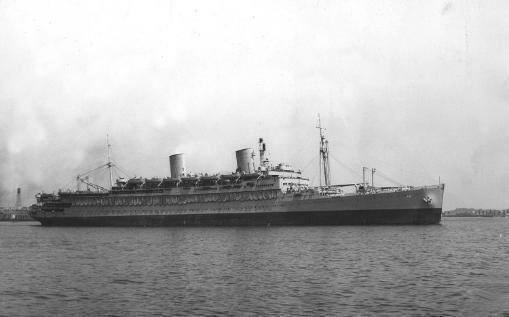 The 'Washington' had gone to war. 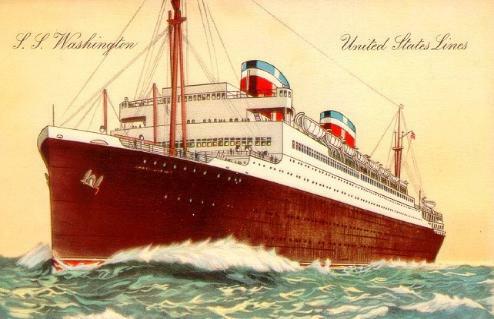 A postcard showing the S.S. Washington in her brilliant, pre-war colors. 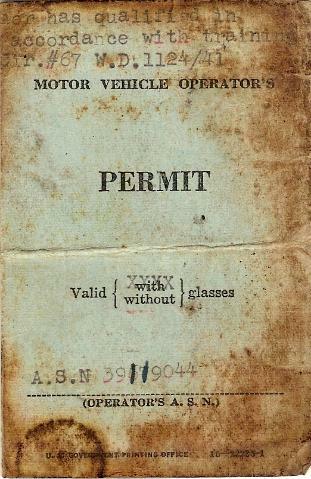 Worn from: 25 August 1945 - 14 August 1947.
western Pacific Ocean, the area where the unit was operational. 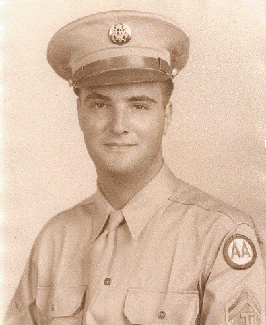 Command insignia on his left shoulder. showing heavy wear, use and staining. 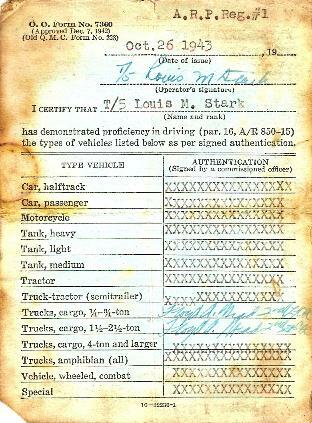 1 1/2 to 2 1/2 ton cargo truck. 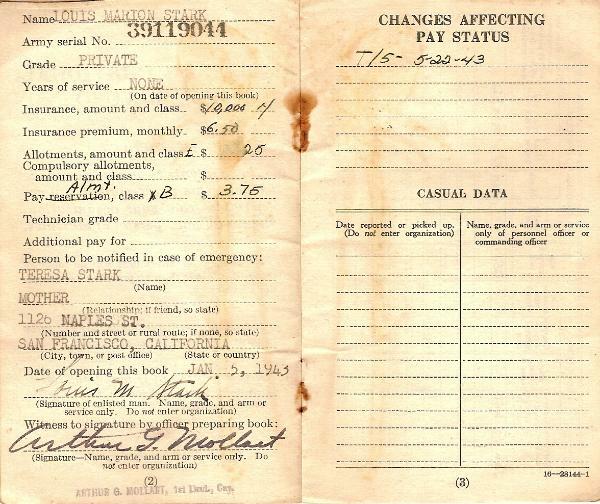 military service and duties while in the military. 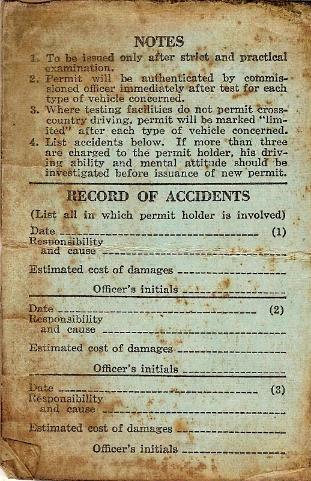 material for seldom seen paperwork items, commonly given to the average soldier. 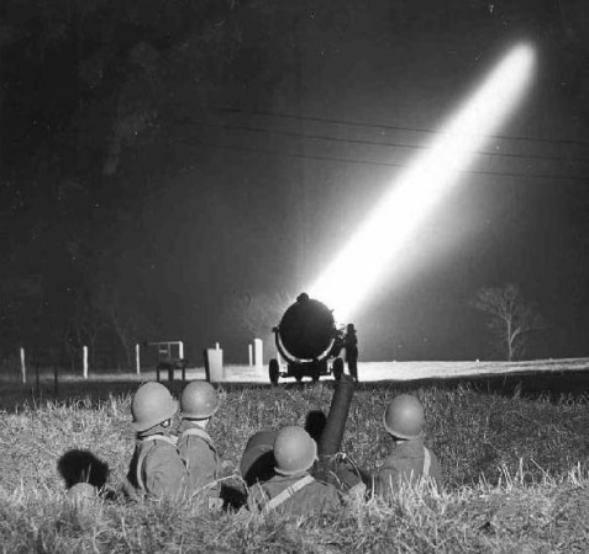 search light combating enemy aircraft. 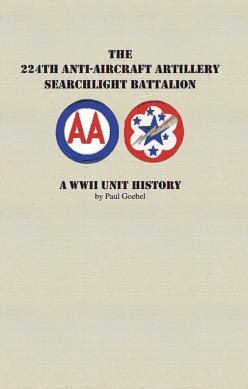 Battalion or the service time of Louis M. Stark, please feel free to contact me. 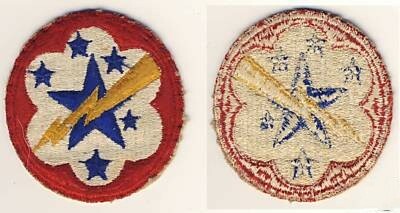 I am interested in adding additional items related to the 224th to my permanent collection.